I moved to New York to study Fashion Design at Parsons The New School For Design. I was living near Union Square, and now I am around Tribeca. The biggest change to the city is the vast amount of construction and building developments. Apps like Uber and Lyft have really changed getting around the city. When I first arrived here, you could only pay for a cab ride with cash. Where’s the Kara studio? And what’s that neighbourhood like? The Kara studio is on Broadway just below Canal Street, which is on the border of Chinatown, Soho and Tribeca. It’s a melting pot of the three neighbourhoods—we are just below all the Soho shopping, the stalls that sell fake goods to tourists, the Chinese restaurants in Chinatown and the calm, neighbourhood vibe of Tribeca. Best place to grab a coffee in the city? If I’m in a rush, I’ll head to La Colombe for a black cold brew coffee. If I have more time, I’ll go to Arcade Bakery for an oat milk cappuccino and a pastry. It’s a bakery within the arcade of an office building, with wood tables that fold down from the walls of the hallway to create seating. Favourite spots to hang out after work? I love going to Sky Ting Yoga in Tribeca or Chinatown after work. If I’m meeting up with friends, I really like Lalito or Café Altro Paradiso. Which neighbourhood do you like to spend your weekends in? It’s never consistent. My favourite thing about New York is that there's always something new to see, or somewhere new to eat. My boyfriend and I love spending an entire afternoon and evening in a neighbourhood, walking around and exploring. Lately, I’ve really enjoyed Bed Stuy in Brooklyn. The Bar Room at the lobby of the Beekman Hotel. One of the first skyscrapers in New York, the office building was built in 1883 and was abandoned for several decades. From the bar on the ground floor, you can through the interior of the building all way to the original, restored glass and cast iron, atrium. The architecture and cast iron will transport you to another era. What about the best bars? Café Erzulie in Bed Stuy or Forget Me Not in downtown Manhattan. The Four Horsemen in Williamsburg is great for some natural wine. Dead Rabbit in the South Street Seaport for cocktail. Estela (I’m not a big dessert person, but I highly recommend the panna cotta), Di An Di serves great modern Vietnamese cuisine, and Chinese Tuxedo. Favourite museums or galleries to visit? Neue Galerie and The Guggenheim. For fashion/accessories: Café Forgot and Procell, which is a vintage store with an amazing archive. 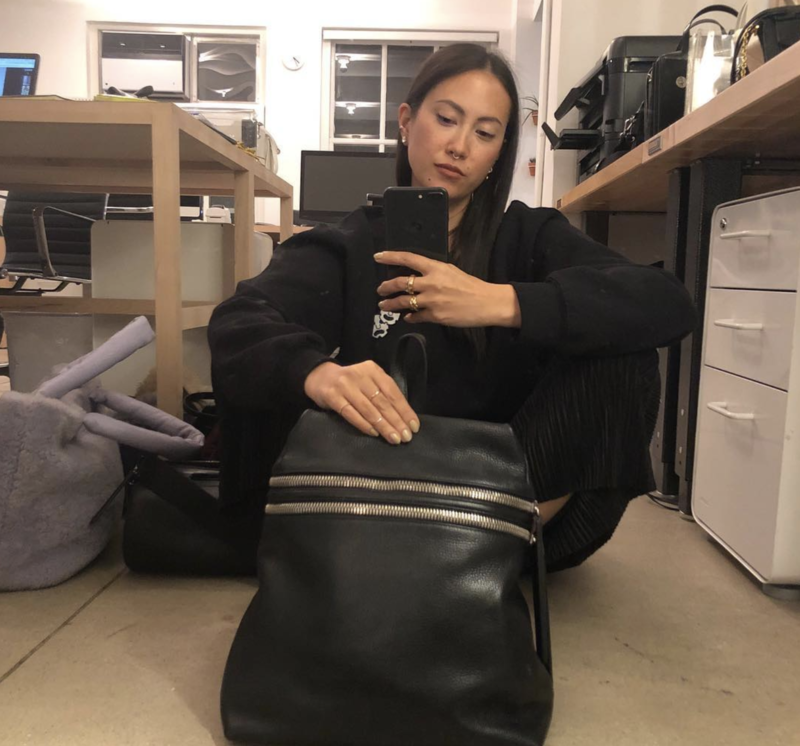 Sincerely Tommy is a boutique in Brooklyn with a great selection of emerging womenswear designers and lifestyle brands. Dover Street Market is also not a place to miss. For the home: Coming Soon is a great home goods store on the Lower East Side, and The Picture Room in Brooklyn is a great place to browse prints, objects and artists’ books. For beauty/skincare: I love the Byredo store on Wooster Street and OO35mm in Chinatown, wjhich has a wide range of beauty products from both East and West. What are your favourite spas or salons? My friend Masami Hosono has an amazing hair salon called Vacancy Project. My best friend Sofie has her own studio called Sofie Pavitt Skincare and she gives an incredible deep clean facial. Where do you go if you’re looking for inspiration or when you’re planning your next season? The inspiration behind Kara comes from my background, growing up half Chinese and half American in Hong Kong. My goal is to create product that be worn by a wide range of people with different interests and perspectives. I am always looking for places where different cultures and identities meet. Much of the time, inspiration comes from the people around me. Where’s a place you like to take your out of town friends when they’re visiting? I’d love to take them to spend a day in Red Hook, checking out exhibitions at Pioneer Works and staying out late listening to music at Sunny’s. And of course a good slice of pizza at either Di Fara or Lucali. What hotel would you recommend they stay in? The Public in Manhattan's Lower East Side. If a friend only had one day in NYC, what would you tell them to do? Have a late breakfast at Café Sabarsky, the Viennese restaurant in the Neue Galerie then check out the museum. Afterwards, head downtown and walk around for a few hours. Have an early evening drink at the Beekman Hotel and end the night with dinner around Two Bridges or Chinatown. Lastly, what’s one thing about New York City you wish everyone would know? New York is not always crowded and on the go. There are a lot of neighbourhoods and things to do where you can just slow down and have a great evening with friends.